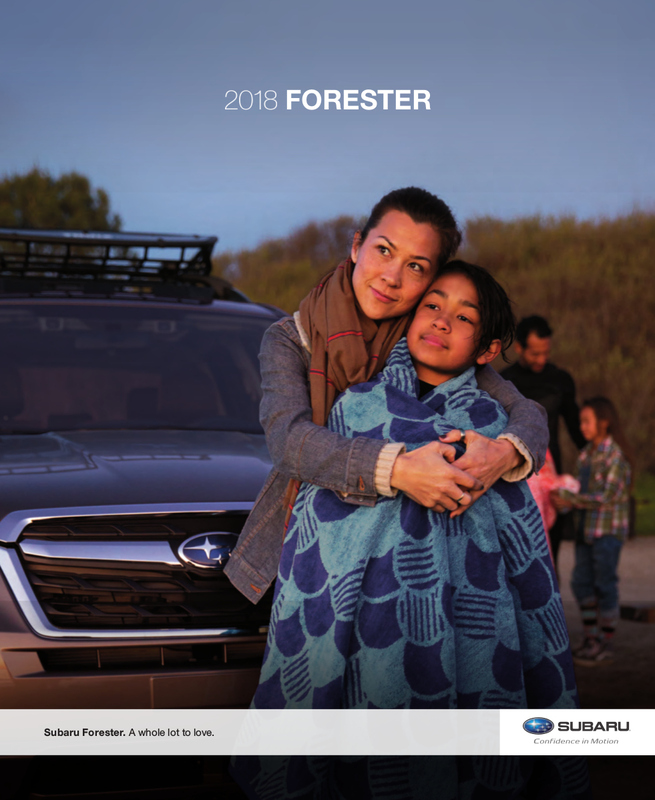 Sales brochure for the 2018 Subaru Forester. Models include the 2.5i, 2.5i Premium, 2.5i Limited, 2.5i Touring, 2.0XT Premium, and 2.0XT Touring. Exterior paint color options are listed as Crystal White pearl, Ice Silver metallic, Sepia Bronze metallic, Jasmine Green metallic, Quartz Blue pearl, Venetian Red pearl, Dark Gray metallic, and Crystal Black silica. Brochures are presented for research use only. Company marks, emblems, and designs are trademarks and/or service marks of Subaru.